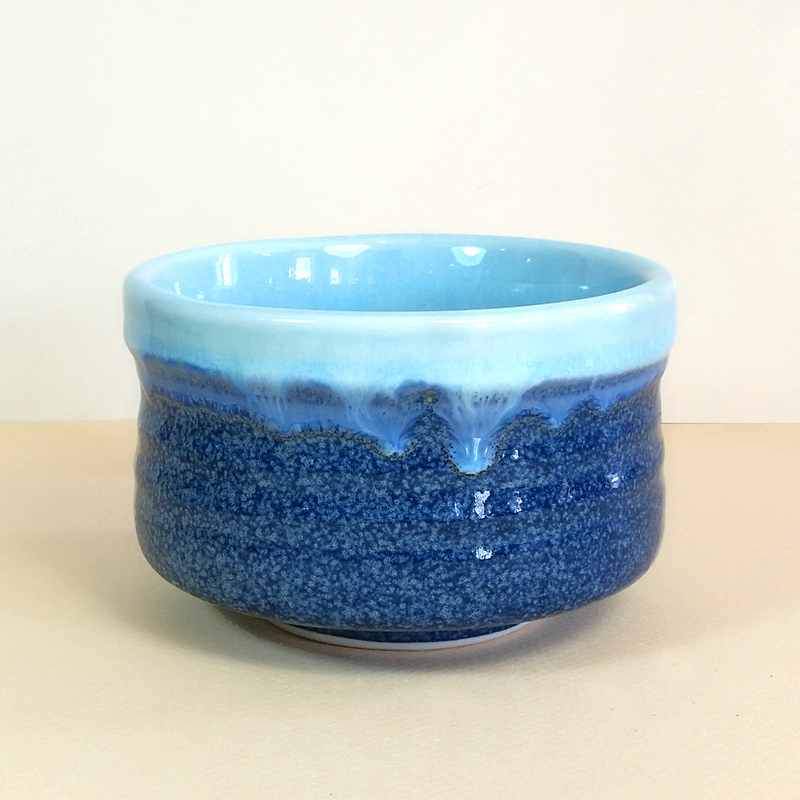 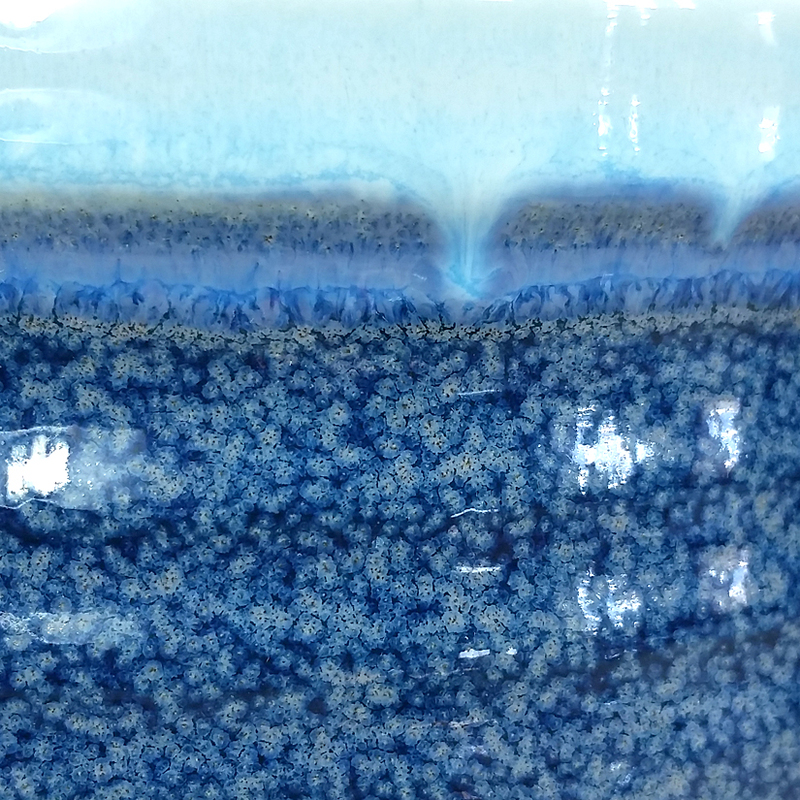 The exterior glaze of this matcha bowl evokes a vision of deep blue ocean waters against an azure blue sky. 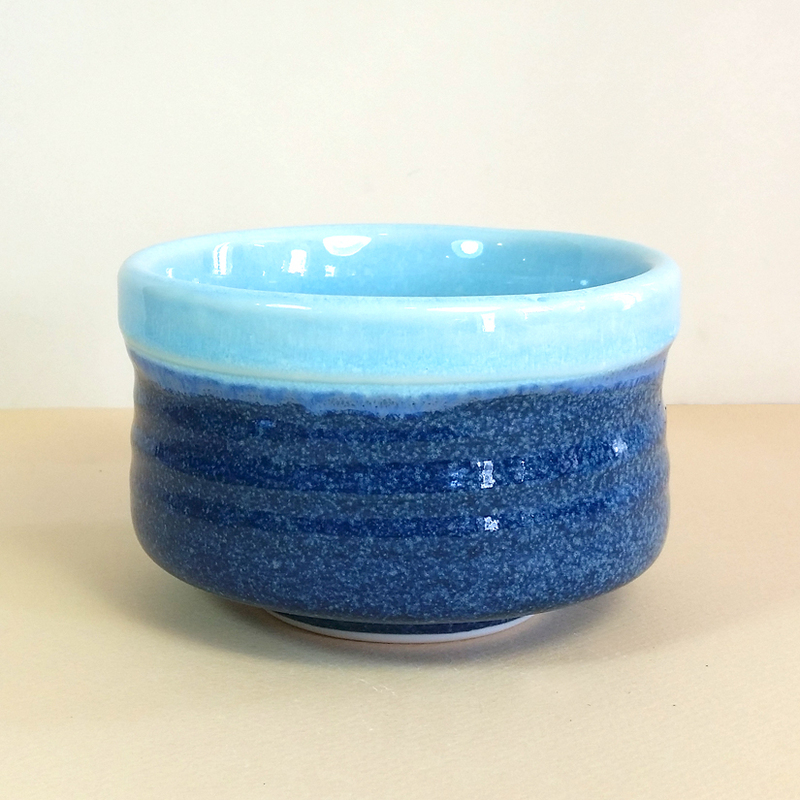 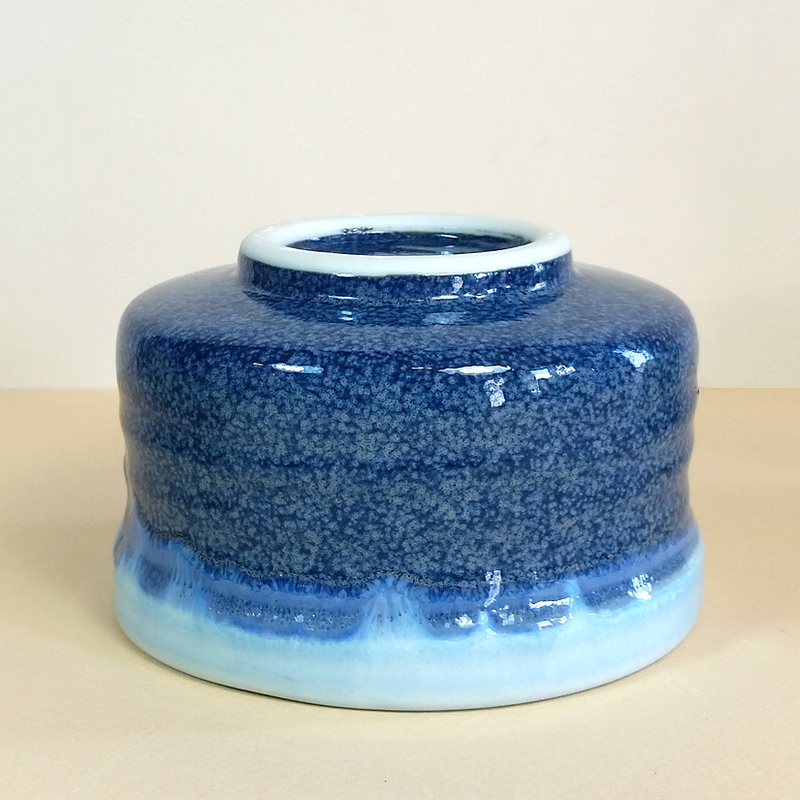 The bowl’s interior is glazed entirely in the same light blue shade as the rim. This is a fantastic background color to show off the deep green of the matcha tea (with its foam) as it is being drunk from the chawan.